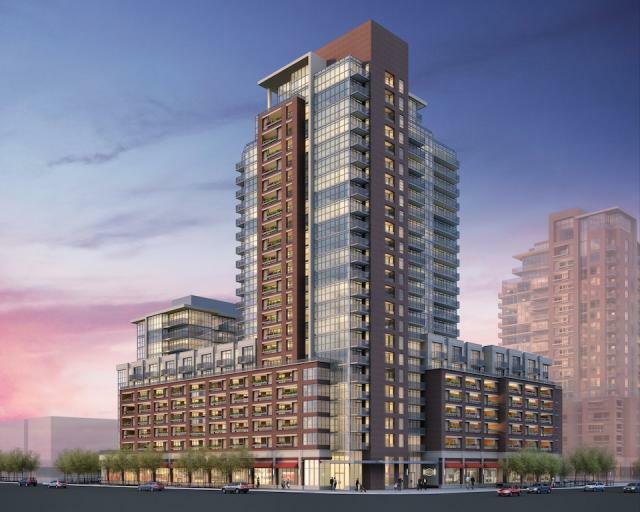 Bousfields was retained by Lanterra Development for the second phase of the mixed-use project Treviso at the north-east corner of Dufferin Street and Lawrence Avenue West. The proposal ranges up to 26-storeys and provides approximately 123,000 square metres of residential and commercial space. The development will be surrounded by a one acre of public park. Bousfields worked in collaboration with architects Page+Steele/IBI Group Architects and landscape architect NAK Design Group. Bousfields was responsible for preparing the Planning and Urban Design Rationale, the Avenue Segment Study and Community Services and Facilities Study. Tony Volpentesta provided expert evidence at the Ontario Municipal Board in support of the project. The project was approved by the Ontario Municipal Board and is currently under construction.